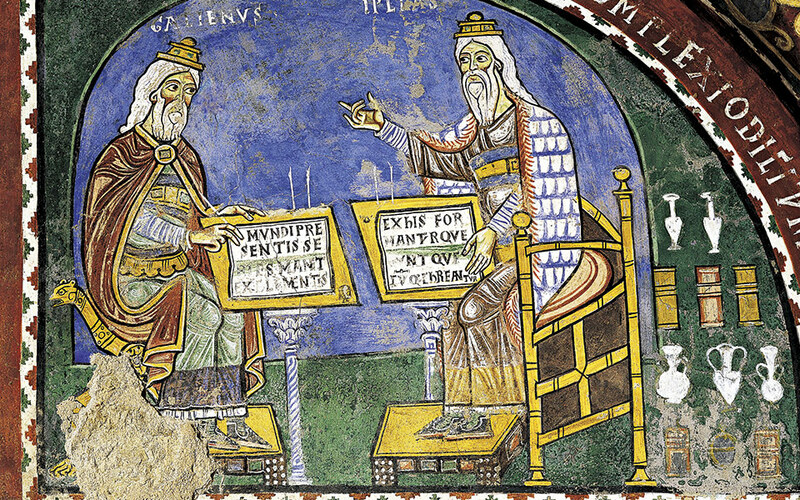 Hippocrates and Galen; fresco in the Crypt of St Mary Cathedral, Anagni, Italy, 13th century (De Agostini Picture Library/A. Dagli Orti). How Ancient Greeks built a connection between body, soul and the environment. The idea of “health promotion,” according to the WHO’s 1986 Ottawa Charter, is a health strategy that aims to incorporate skills and community development and to create supportive environments for health. The theoretical framework for such a strategy stems from the development of the new “biopsychosocial” model for health and disease, which questions the dominance of the biomedical model, by putting emphasis on the role of the environment and of human behavior and on the biological, psychological and social dimensions of both positive and negative health. However, despite the commonly held assumption that such basic concepts are recent in origin, they actually have their roots in ancient civilizations, particularly in classical Greece. The ancient Greeks understood that good health was tied to physical and social environments as well as to human behavior. They defined health as a state of dynamic equilibrium between the internal and external environment. In addition, they considered the physical and social determinants of health, they empowered individuals and communities through new democratic and participatory institutions and placed emphasis on health education and skill development. They also recognized the importance of supportive environments and healthy public policy and reoriented medicine towards a more naturalistic and humanistic perspective. The Greeks were the first to break with the metaphysical/supernatural conceptions of health and disease that had previously dominated human societies, seeking out answers in the physical world rather than in the actions of invisible forces. Aristotle (384–322 BC), the son of a physician, questioning Plato’s transcendental ideas, called for the systematic observation of nature. The mythical world was replaced by one forged through the power of independent human intellect, a world which demanded that reality be explained through natural causes. The ancient Greeks’ understanding of health and disease was based on the theory of the four “humors” or fluids (blood, phlegm, yellow bile, black bile), which in turn is premised on the theory of the four elements (fire, earth, water, air) and their four corresponding qualities (hot, dry, humid, cold). The Pythagoreans maintained that health is a condition of harmony and the perfect equilibrium of the fluids. Illness results when this balance is upset; thus, the important thing for maintaining health is to practice a way of life that allows for minimum disturbances to occur in the body. Since this balance can easily be disrupted by external factors, efforts are concentrated on regulating the human body’s physical and nutritional conditions. The Greek word “hygieia” describes a condition of completeness and contentment. A healthy body is a well-balanced body – one that exists in harmony with cosmic laws and order. Health theories were elaborated in greater detail in the work of the ancient physician Hippocrates (ca. 460–370 BC). Unfortunately, little biographical information can be confirmed about this important figure. The 60 or so works comprising his corpus were probably written by a variety of authors, including both Hippocrates himself and his disciples, who together developed the starting point of medical science. According to the text entitled “On Airs, Waters and Places,” a groundbreaking achievement and the Hippocratic school’s most important contribution to medical science, health is similarly defined on the basis of an equilibrium, achieved between environmental forces on the one hand (wind, temperature, water, ground, food) and individual habits on the other (diet, alcohol, sexual behavior, work and leisure). The “internal” equilibrium of the four bodily fluids depends on the “external” equilibrium between a person and his/her environment. The pathogenic process, according to the Hippocratics, results from the overturning of equilibrium and the predominance of one of the four fluids, thus leading to disease. The Hippocratic physician who came to attend to a town’s population had to consider not only the season, the winds, the water people used and the geography of the place, but also the way people lived: did they drink a lot of wine, eat well, exercise, get adequate rest and work hard? The ancients stressed that good diet was crucial to health. The Greek word diaita, however, meant more than food and drink: diatetica (dietetics), the cornerstone of the healing art, involved an entire lifestyle. The Hippocratics posited a natural theory for the cause of illness. In the case of male impotence among the Scythians, for example, Hippocrates made certain observations that were connected to factors such as horse riding, rheumatism, physical tiredness, weather conditions, ground conditions, and dietary practices. Today’s Ottawa Charter proclaims that a key factor for the achievement of skills and community development is the empowerment of people – both as individuals and in communities – which is achieved mainly through health education and supportive environments. Although the term “empowerment” is not mentioned in ancient Greek philosophy and medicine, the Greek intellect in general was very much centered around the individual’s emancipation from the clutches of ignorance and superstition, leading people towards “self-sufficiency” – which, as a concept, is very close to contemporary ideas of empowerment. The philosopher Protagoras (ca. 490–420 BC) defined “self-sufficiency” as a state of being in which one is not dependent on others. Pythagoras’ followers likewise placed an emphasis on self-maintained hygiene – the well-known “Pythagorean way of life.” Health was a condition of perfect equilibrium achieved by practicing self-control, moderation and calmness. The use of diet, gymnastics and even music were directed to the goal of restoring health when it had been “upset.” Thus, for someone to live “as he should,” systematic preparatory education was needed. Later, Aristippus (ca. 435–356 BC), a student of Socrates, drawing on the principle of self-sufficiency, advanced a theory and practice of life according to which our single aim is to enjoy life as much as possible – provided, however, that we are in control of both ourselves and circumstance at all times. It was only in this broad 5th–4th-century BC philosophical context that ancient “health education” could emerge. A paintingn from 500 BC showing Hippocrates, Achilles tending to Patroclus’ wounded arm, Attic kylix; surgical instruments, 4th-7th c. AD; wild blackberries described and illustrated in a publication of Dioskourides’ De Materia Medica, AD 512. A portrait of Hippocrates (ca. 460-370 BC), known as the “father of medicine,” who developed the belief that four fluids (or humors) of the body are the primary seats of disease. The Hippocratics recognized “endemic” diseases – those always present in a given population – and “epidemic” diseases – those not always present but occurring in greater frequency at certain times. Both terms are still widely used today. (The text “On Airs, Waters and Places” attempts to identify the factors behind local endemicity by addressing climate as well as the quality of the soil, water, way of life and nutrition.) Hippocratic physicians also paid attention to the location of an individual’s dwelling, the winds to which it was exposed and how near it was to rivers, swamps or the seashore. Winds and their influence on health held particular interest for the Hippocratics: “Cities which are faced towards the sunrise are healthier than those which are faced towards the North and … warm winds.” Hippocratic writings go even further, recognizing the importance of the social and political environment as well, and often referring to the “health” of the polis. With the birth of democracy in ancient Greece came a departure from the heteronomous status quo and a movement towards autonomy. Athenians reformed their political system to increase the possibility of real participation of the people in the exercise of power, in a state of autonomy in which the political community created its own laws. Autonomy precludes the idea of an extra-social source of laws and institutions. This is the highest kratos (strength) that exists in a society: the giving of ourselves to the laws and institutions under which we live and the government that determines our direction. Society is never just a simple synthesis or summation of persons, since people are to some extent created by their society. Therefore, an autonomous society means ipso facto autonomous persons, which in turn means an empowered society and empowered persons. The notion of empowerment is thus related not only to self-sufficiency, but also to autonomy. Even before the flourishing of Greek democracy, however, social conditions had already been considered to affect health. The philosopher and medical theorist Alcmaeon (born ca. 510 BC) does not hesitate to define health in terms borrowed from the political vocabulary of his time. He asserts health is isonomy, the equality of rights, the total balance of forces – “fluids, dry, bitter and sweet” – active in the human body. Isonomy positively affects not only citizens’ health but also democracy. In contrast, monarchy, a system of governance based on the rule of one, gives birth to disease. It destroys the polis (city) by imposing the rule of a single element on the others, thus destroying isonomy. Little is known of Greek medicine before the testimony of written texts in the 5th century BC, but it can be assumed that Ancient Greece, like many other places in prehistory, possessed folk healers, priest healers and chief tribunes employing divination and drugs. In Homer’s Iliad, Apollo appears as the god of healing. Various other gods and heroes were also identified with health and disease, the most predominant being Asclepius, whom Homer portrays simply as a tribal chief and a skilled healer of wounds. Physicians were apparently little appreciated in Homeric times, perceived merely as lowly craftsmen of inferior standing. Physicians are classed in Homeric epic with other itinerant laborers while Asclepius is not even recognized as a son of Apollo. Only with Hesiod and other authors does Asclepius become the son of divine Apollo and thus a semi-god. This upgrading of his position signified an upgrading of medicine and, at the same time, a reorientation of medical care. Scholars attribute Asclepius’ rapid ascendancy, after ca. 700 BC, to his popularity among the poor and lower classes, who saw him as a god particularly interested in their welfare, a lover of all people regardless of station. Physicians who followed Asclepius as the god of health and medicine had a clear obligation to treat the rich and the poor alike. The ensuing rise of Hippocratic teachings represented a decisive step in refounding medicine on a quite different basis: as a healing system independent of the supernatural and built on natural philosophy. This separation of medicine from religion is indicative of the openness of ancient Greek intellectual activity. Hippocratic medicine was not only an appeal to reason, however, and thus an early scientific endeavor; it was also a patient-centered rather than disease-oriented approach, concerned more with observation and experience than with abstractions. Hippocratic doctors took care to consider their patients’ social circumstances and potential limitations when administering advice and guidance. To care for the poor and for wounded warriors, the institution of “public doctors” was established in ancient Greece. In Athens, such doctors were selected by the popular assembly. The city paid for their salaries and medicines through a special public taxation. 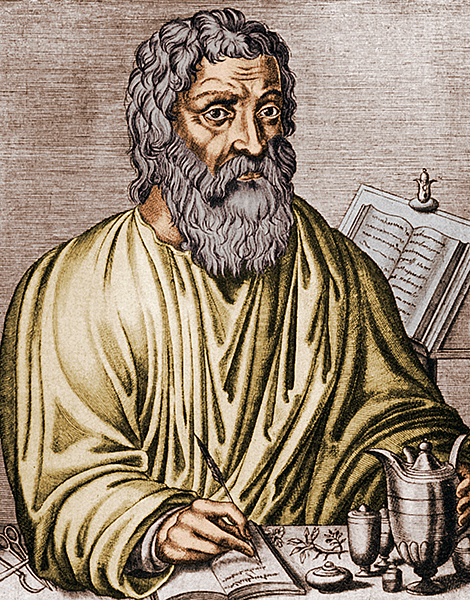 Plato, the earliest writer to mention Hippocrates and his theories in his dialogue Timaeus, taught that morality was not simply a matter of education. Since the mind is influenced by the body, the doctor has a part to play in teaching virtue. Plato’s Timaeus went on to become a highly influential text, linking medicine and philosophy, health and politics. Nowadays, it also reminds us of the contemporary conception of sociopolitical determinants in health. The innovative ideas of the ancient Greeks, from the 7th to 4th centuries BC, laid the foundations for later Western thought and achievement in many areas of learning including medicine. Pioneering Greek philosophers fashioned the basic concepts underlying philosophical and scientific inquiry. Since these pursuits were originally interwoven, the discursive framework in which they developed fostered the emergence of core natural science concepts, out of which European philosophy and science later evolved. The Hippocratic tradition in particular, with its definition of health as a state of balance between internal and external environment, brought a revolution in the concepts of health and disease and in medical practices. The naturalistic approach of the Hippocratics, today held up as a precious heritage, can be characterized by its spontaneity, scientific value and humanistic attitude. In the end, Hippocrates and his followers have transformed medical thought. In Western civilization, health continues to be considered a state of perfect balance. The difference between ancient and modern concepts has more to do with what the human body is comprised of. As Henry Sigerist writes, “we know today that the human organism is made of cells and intercellular substances that are kept alive and function because of chemical and physical forces in a state of dynamic equilibrium defined by the internal and external environment.” Ancient Greek medicine’s naturalistic foundations are of fundamental importance to the development of modern health science. Aristotle put forward very influential views on the constitution of life and health, and his discussions of physiology have long intrigued doctors and philosophers alike. Today, health promotion and educational approaches that emphasize correct diet and physical exercise can clearly be traced back to the ancient Greeks, whose health education, based on a holistic perception of health, incorporated ideas regarding both the physical and social environment and laid the foundations for the concept of health promotion in the modern era. The institution of ancient Athenian democracy, despite its tolerance of slavery and discrimination against women, reflected a supportive social environment for health and the promotion of healthy attitudes and behaviors. In large part based on the health-related legacy and principles of ancient Greece, medicine today is undergoing a reorientation as it seeks to provide more humane, fair and efficient health services. “Public doctors” to care for the poor, the Hippocratic oath’s humanitarian approach towards patients and the development of patient-friendly, easily accessible healthcare units all fall within the basic values and goals of any contemporary healthcare system that strives to restore a more humanitarian and equalitarian spirit in contemporary medicine. * Yannis Tountas is Professor of Social and Preventive Medicine in the Medical School University of Athens.